Already no stranger to major suburban skyscrapers, Sydney may well host a duo of hulking towers in Crown Nest. The push is on to capitalise upon the NSW Department of Planning and Environment's strategic review of the St Leonards and Crows Nest Station Precinct, with the new Crows Nest Metro Station at the heart of the renewal area. 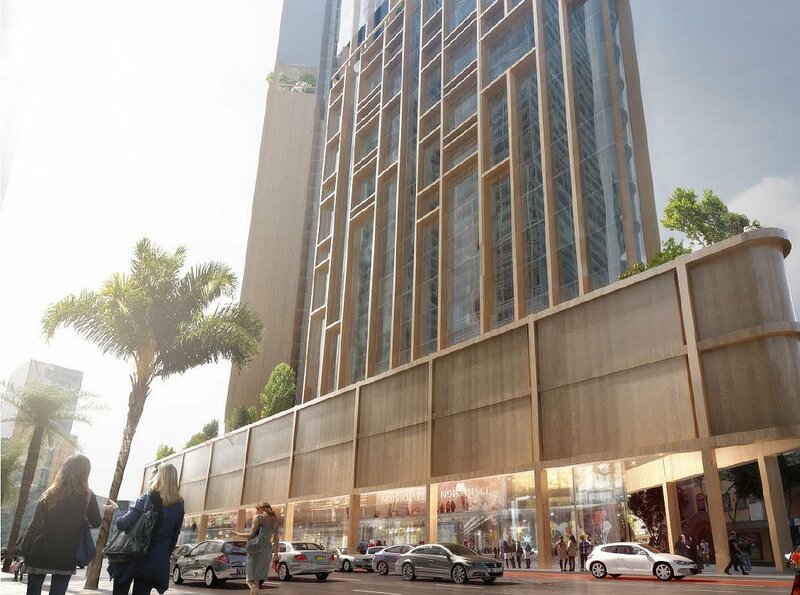 Entity Eastern Property Alliance Pty Ltd is behind the bid to realise two skyline changing towers of 193 and 162 metres within the precinct which is earmarked for greater densification. 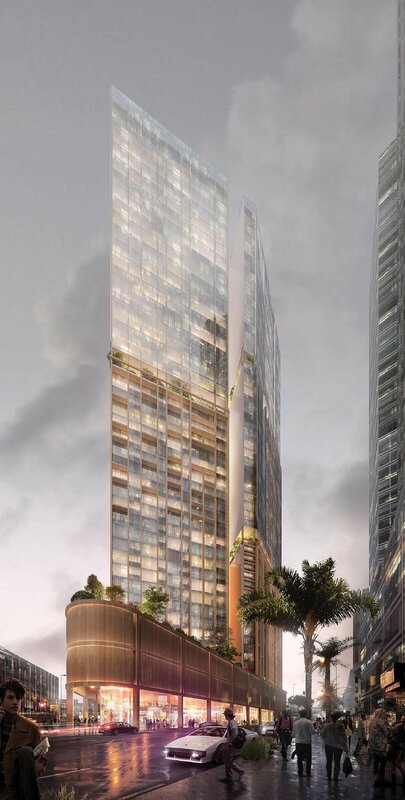 Both towers are slated for a triangular site bound by Falcon Street, Alexander Street and Pacific Highway. Known as the five ways intersection site, the 3,010 square metre plot acts as a southern gateway site for both Crown Nest and adjoining St Leonards. North Sydney Council fielded the application earlier this month, and is officially addressed 395-419 Pacific Highway. The proposal addresses the aspirations outlined in the Preliminary Urban Analysis by creating a ‘gateway’ site. Furthermore, it is appreciated that the project needs to deliver a work of international significance in order to establish the southern ‘gateway’ to the new Crows Nest and St Leonards CBD. Balancing the needs and interests of the local community while addressing the bigger picture changes as a new CBD is part of our work. The proposal seeks to present an architectural expression that reflects the mixed-uses & diversity within. Rather than a singular repetitive tower facade, we will be exploring architectural devises that are in direct response to orientation, height above ground, and drone by user needs within. In order for Crows Nest to continue to play an important role as a vibrant activity centre, it is critical there are opportunities to accommodate a mix of economic activity. The development team's intent in delivering a mixed-use project sees in inclusion of all uses aside from the typical residential outcome. More specifically 10-15% of the 60 and 50-storey towers uses will be dedicated to non residential (retail/ office/ hotel). 7 basement levels are envisaged, with the common podium structure above incorporating multiple levels of retail and commercial space, childcare facilities and recreational areas. Hotel areas are envisaged within the lower portion of the towers proper, with dedicated residential apartments above. 395-419 Pacific Highway is not the only site in Crows Nest expecting a tower of considerable size. Consultancy firm Property Development Systems is showcasing The Wentworth at 286 Pacific Highway which is directly opposite 395-419 Pacific Highway. Imagery suggests it will span approximately to levels although no development application relative to this development has been lodged to date.